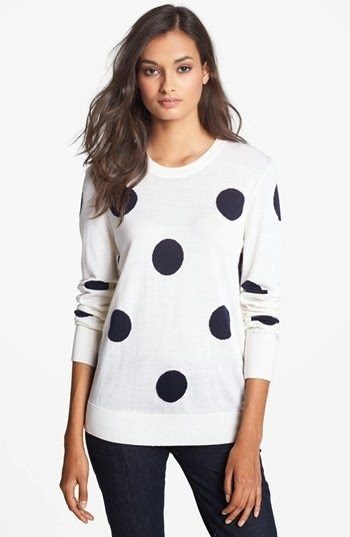 Equipment's polka dot Shane sweater retails for $190.80 at Nordstrom. I found several alternative sweaters, varying from $79.50 to $27.80. Click on any image below to view or purchase.